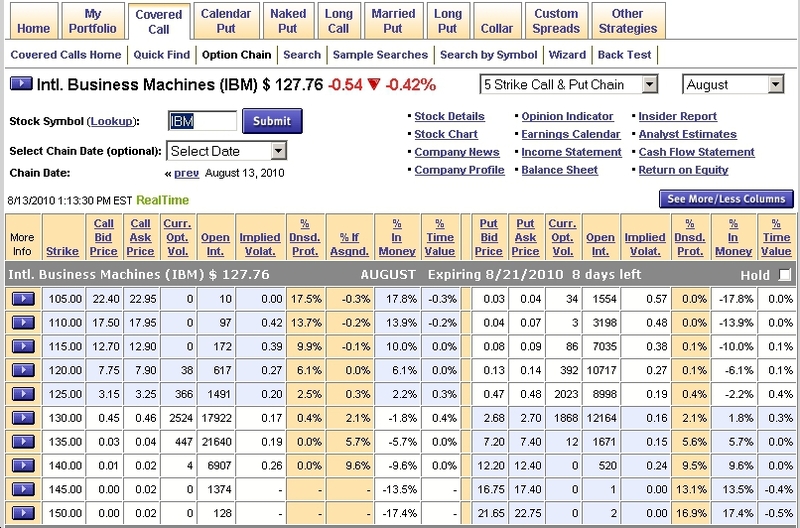 This TipSheet is a quick guide to the suite of options market analysis tools offered by PowerOptions to our subscribers. Whether you are on a trial account and just learning to navigate the site or you are a paid subscriber who might be overwhelmed with the option trading tools on the site... this option trading guide might help you decide what option investing tools for beginners and information are best for you. Search for attractive stock/option trades. 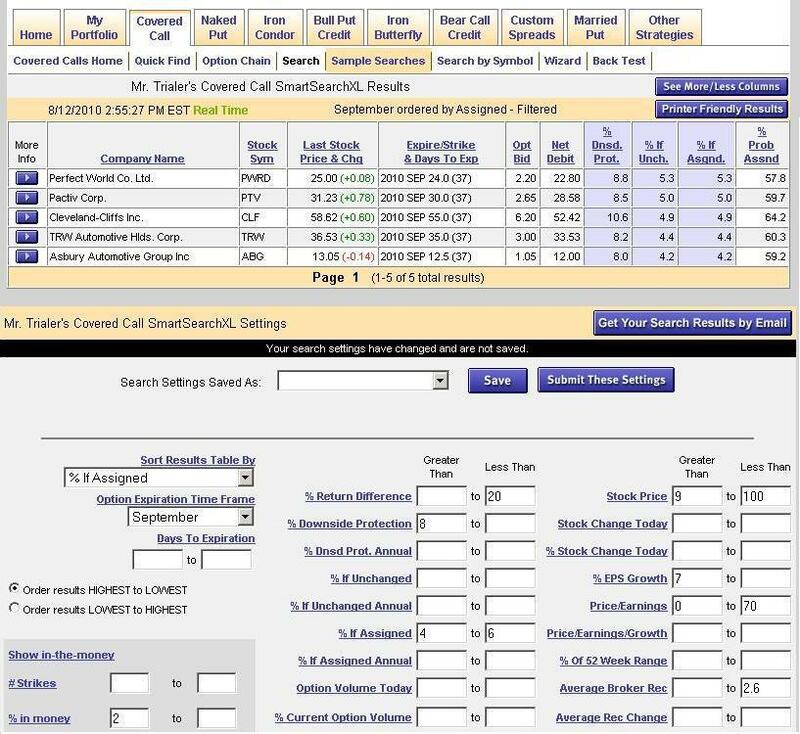 Simultaneously search by option data, stock data, fundamentals, technical, lists, broker ratings. Select the parameters that match your investment tastes. Find option investments with a certain percent return, option bid, or underlying price. Enter a stock to see the potential profit making option investments. 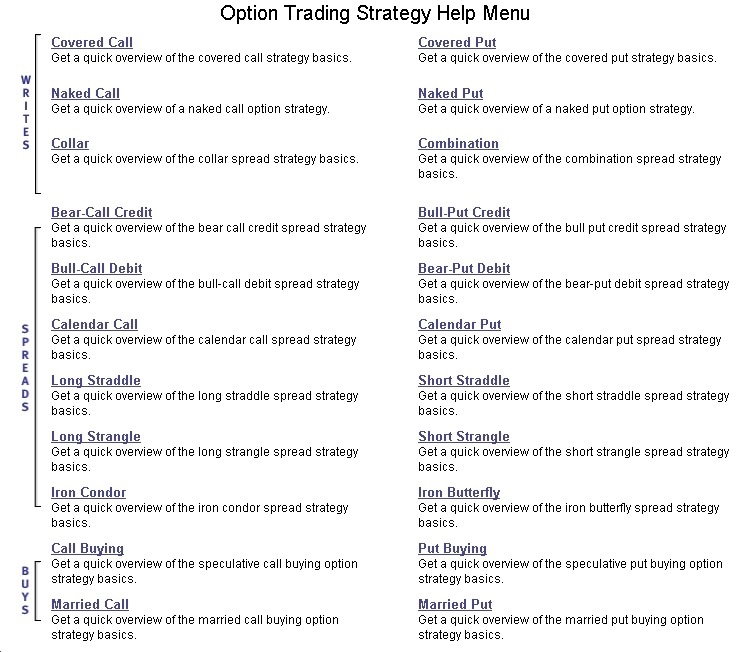 Examine up to 23 different option strategies for any stock you choose. Enter your investments for viewing and tracking. Keep track of all of your stock and options positions as combined multi-leg positions with profit/loss analysis right up front for all of your positions. View all detailed information for any stock or option. 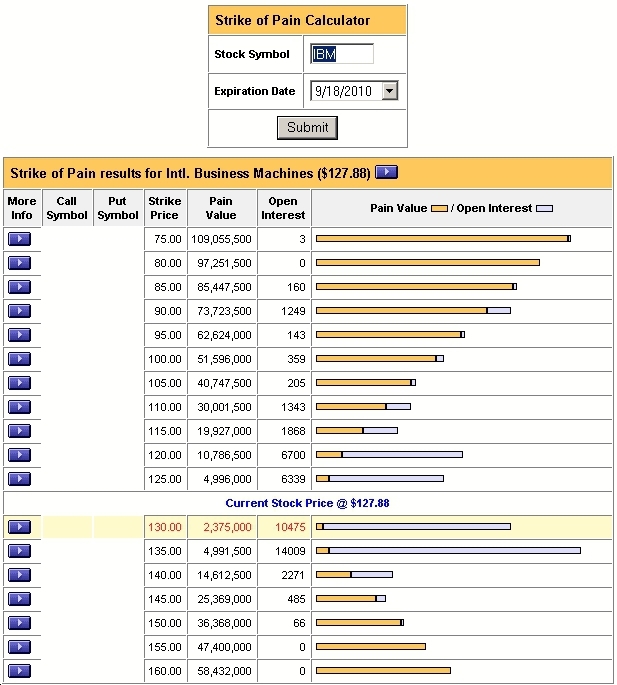 View detailed option chain for any optionable stock or ETF or Index. Fix your broken stocks and get back to break-even faster if the stock recovers. 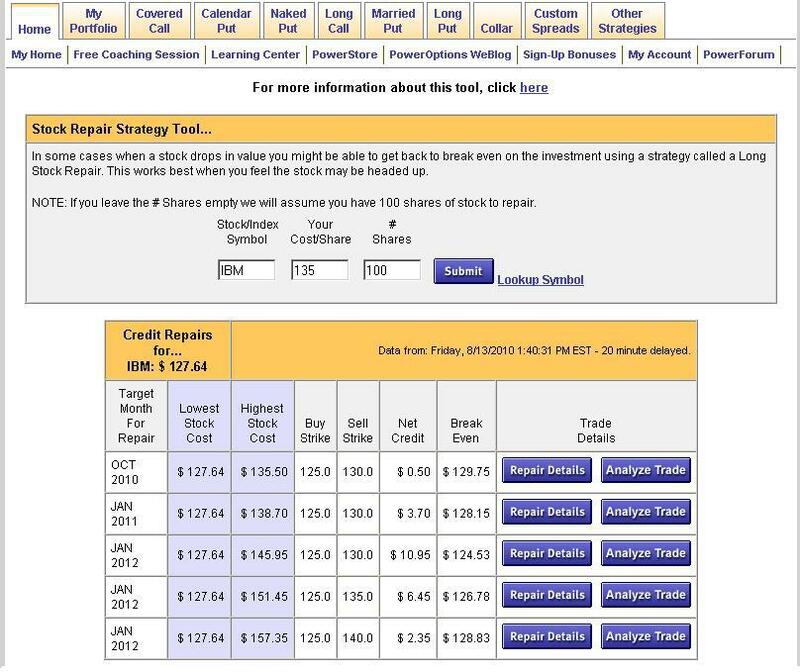 View the potential option investments for any stock. 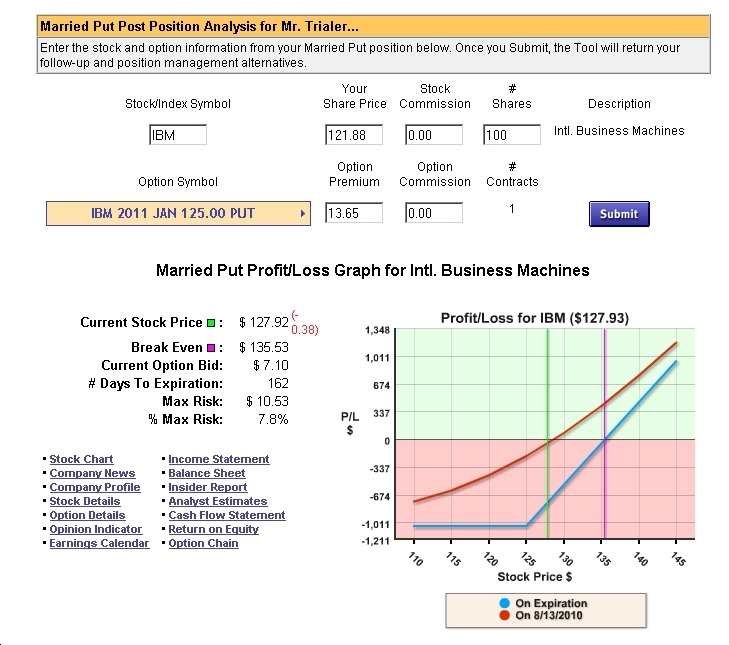 Many calculators to choose from: Black-Scholes, Strike of Pain, Money on the Table, Stock Insurance, Stock Repair, Spread Chains, Market Sentiment etc..
Post Position Analysis tool shows you your liquidation Value, expiration Value and any possible roll-out opportunities for your investments. Easy management of your options trading in one place - one click away. 40+ pages to help you get started making better and more successful options investments. In a rush? 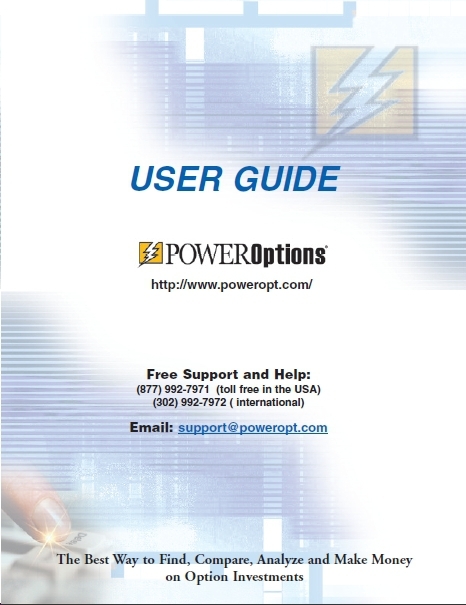 There's a Quick Start Guide that's only 7 pages and covers most of what you need for the PowerOptions options market analysis tools. Earnings Reports: Find out which companies are on deck for an earnings report. 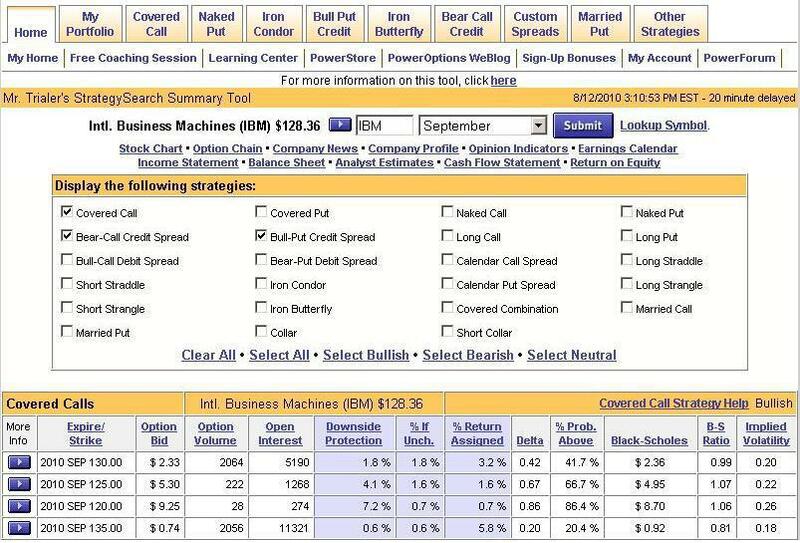 Report List: Pre-set search for stocks & options... SmartSearchXL is used to find these potential investments. MarketStatistics: Quick view of Industry/Sector/Stock gainers and losers, options and stock data on volume, interest and other market activities. 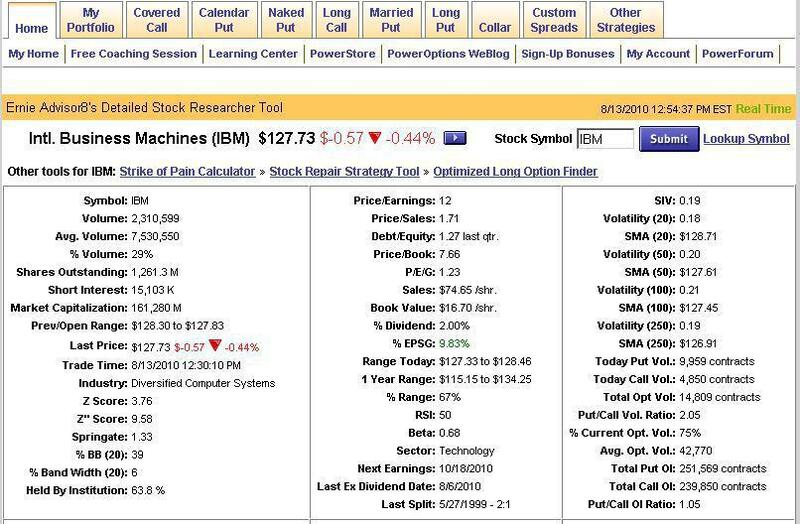 Optionable Stock Statistics: Averages and overall option market data for stock price, option price, % epsg, and other popular information. Free email support and one-on-one phone coaching. Easy Startup Guide: A little example to get you started with our option investing tools for beginners. 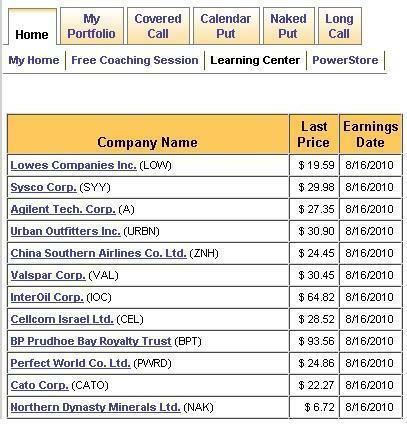 Real Covered Call Example: An example of selling & rolling a covered call investment. Sign up Bonuses: Take advantage of free offers and newsletters. Trial Period TipSheets: Tips for using the PowerOptions website and the best option strategies. PriceWatch Alerts Explanation: Description of and how to use PriceWatch Alerts. SmartSearchXL Tools Help: Tips and instructions for how to use our patented tool. Investing Strategy Help: Help resource for understanding the various option investment strategies. Tutorial: An overview of the site, stock market analysis tools and how to use them to help you invest.